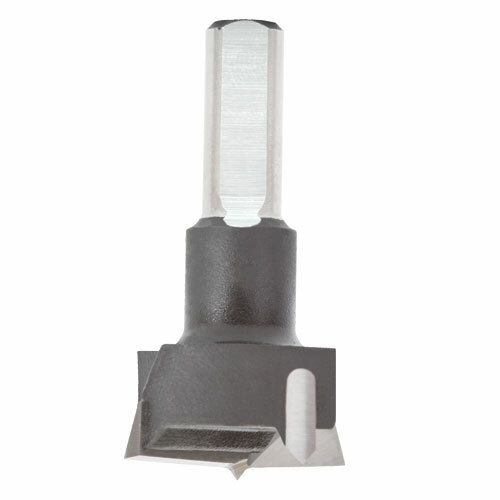 Tungsten carbide tipped boring bit with centre point, two spurs. 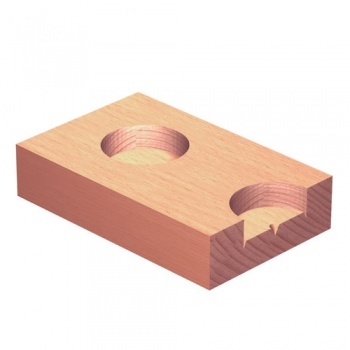 Suitable for drilling hinge holes in natural wood and man-made boards (including paper/plastic coated and veneered). 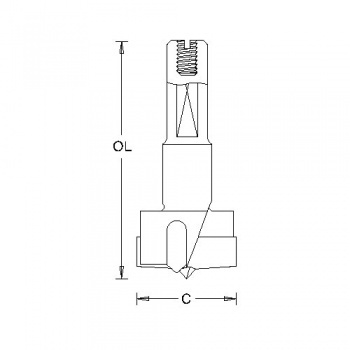 Boring bits have a cylindrical shank with flat and length adjusting screw. 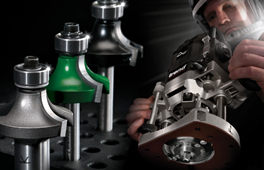 For use on automatic and point-to-point boring machines.